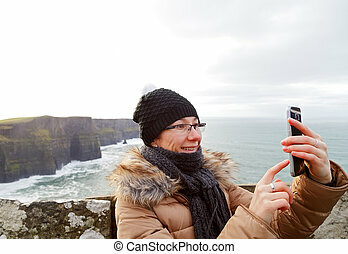 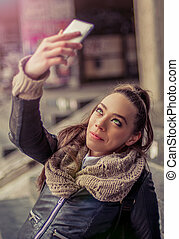 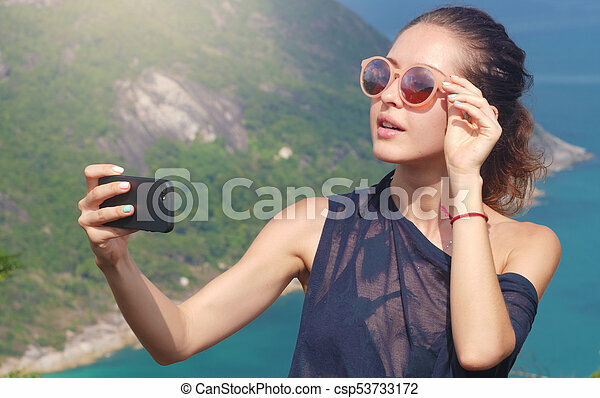 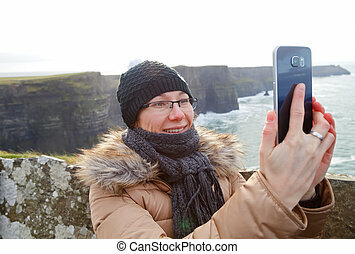 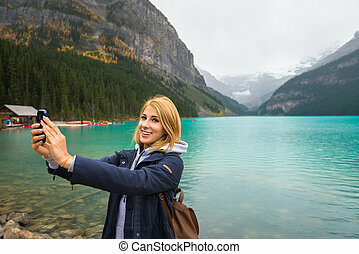 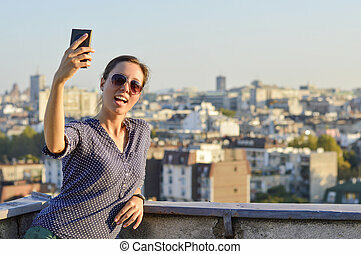 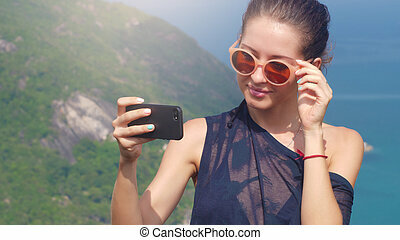 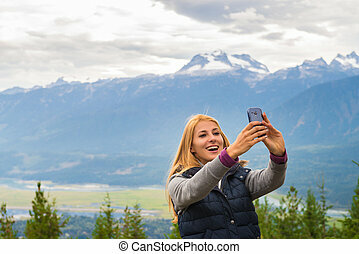 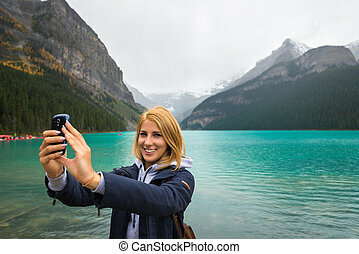 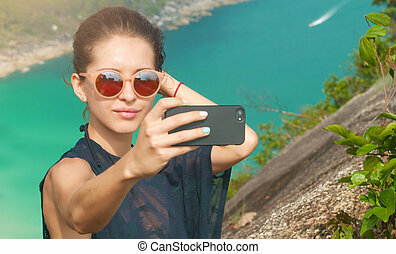 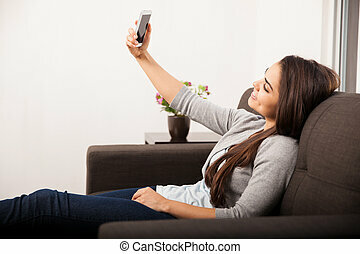 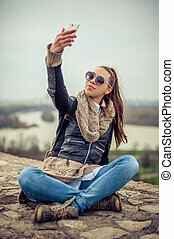 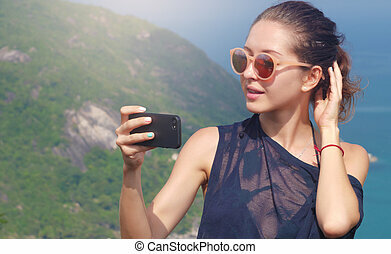 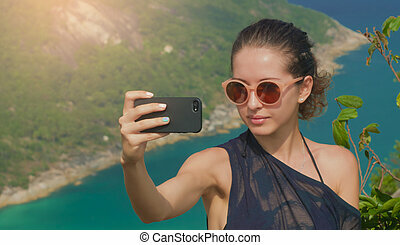 Beautiful girl traveler is taking a selfie with sea view at a height. 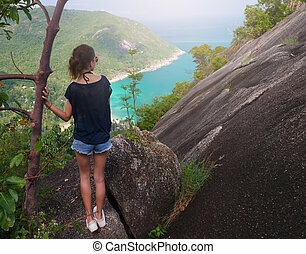 viewpoint. 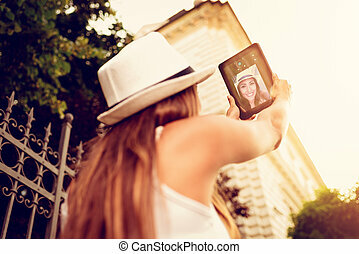 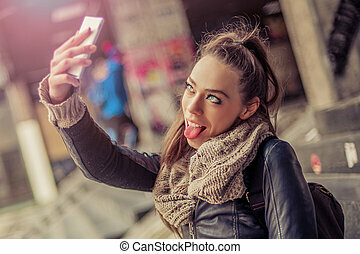 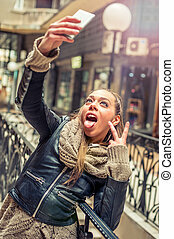 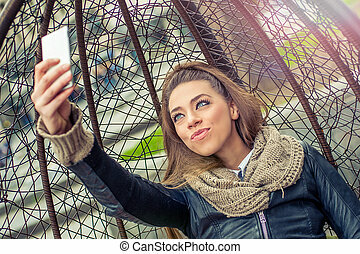 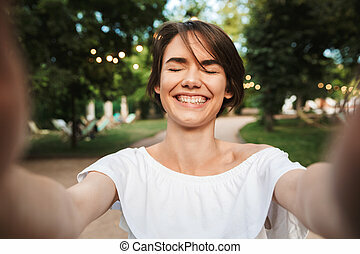 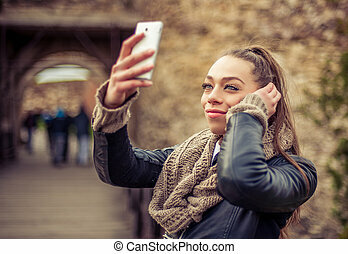 Beautiful young woman on vacations taking selfie with dogital tablet at the city square. 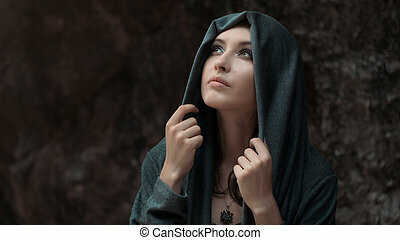 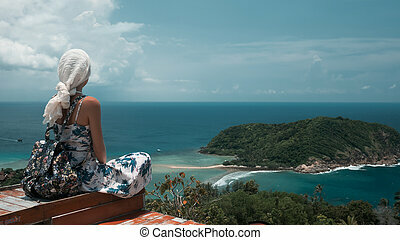 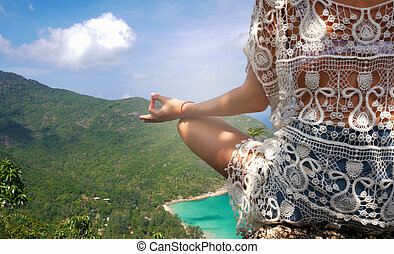 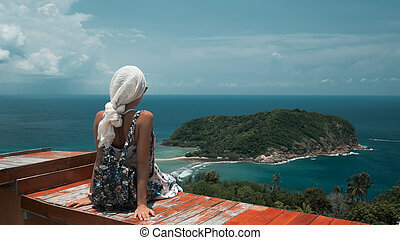 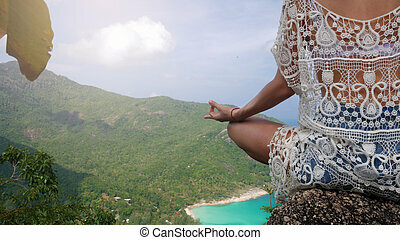 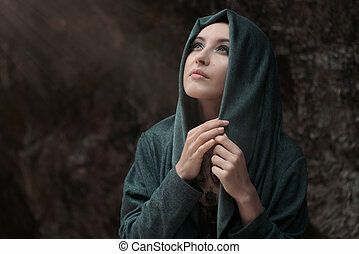 Young tourist woman is sitting on wooden fencing at viewpoint and looking at a beautiful sea bay landscape. 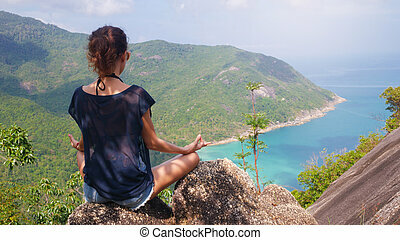 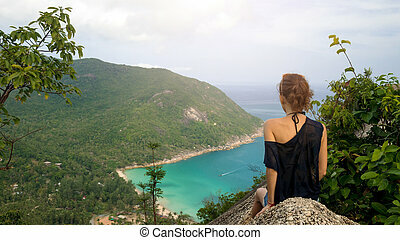 Hiking woman with backpack relaxing on the top enjoying sunlit sea view.